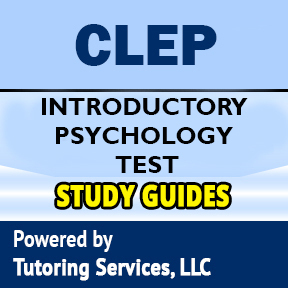 The Introductory Psychology examination covers material that is usually taught in a one-semester undergraduate course in introductory psychology. It stresses basic facts, concepts, and generally accepted principles in the thirteen areas listed in the following section. The examination contains approximately 95 questions to be answered in 90 minutes. Some of these are pretest questions that will not be scored. Any time candidates spend on tutorials and providing personal information is in addition to the actual testing time. Questions on the Introductory Psychology examination require candidates to demonstrate one or more of the following abilities. The subject matter of the Introductory Psychology examination is drawn from the following topics. The percentages next to the main topics indicate the approximate percentage of exam questions on that topic. SELECT a.id, a.book_title, a.description, a.ad_image, a.image_tag, a.isbn, a.asking_price, a.book_condition, a.book_store_url, a.sg_type, a.url_path, c.subject_id, c.subject FROM tbl_used_book as a, tbl_booksubject_description as b, tbl_level_subjects as c WHERE a.exam_code = "clep-introductory-psychology-exam-details" AND a.subject_id = b.subject_id AND a.subject_id = c.subject_id AND a.is_available = "1"